This guy makes the best soundscapes and I was thrilled to find that his blog had some very current activity on it. that IS beautiful!!! especially the sound of the rain/wind..could listen to that all day. 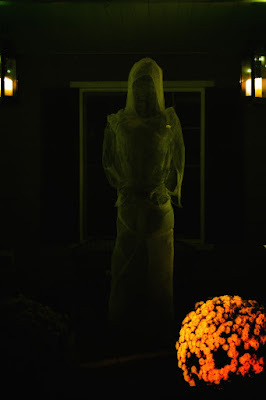 & i LOVE the ghost w/ the golden mums or marigolds? sucha lovely vision. The Room of Midnight Reading is my all time favorite.